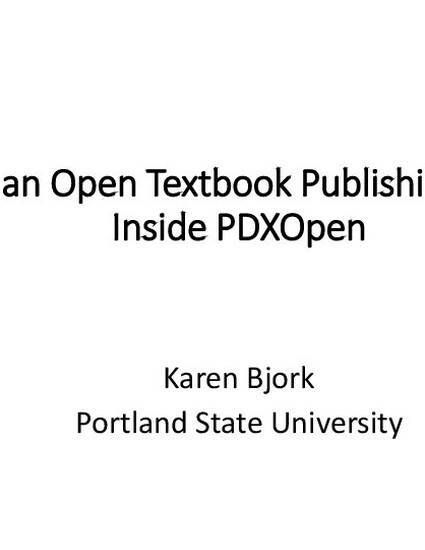 A look inside Portland State University Libary's open textbook publishing initiative, PDXOpen. The presentation focuses on recruiting authors, author selection and lessons learned. Presented as part of the LYRASIS Second Fridays Webinar series on Friday July 14, 2017.